Luxury duplexes and townhomes in historic Lemont—Preconstruction pricing for a limited time in Lemont. Lemont—Donven Homes has special savings at both of their luxury townhome communities in Lemont. Woodglen is a beautiful community of upscale residences nestled in a wooded location with all the superb architectural features and solid construction home buyers have come to expect from Donven Homes. In addition, the popular Ashbury Woods community is in its final phase and offers home buyers one more chance at being part of this excellent location. Woodglen will consist of 90 luxury ranch and two-story duplex residences with architecture carefully designed as a single-family home. Homeowners will enjoy maintenance-free living with their own large backyard. Located in the center of Lemont, just south of McCarthy Road (123rd St.), this community is away from high traffic areas and sits on the heavily wooded former Totura Estate. Woodglen is truly a prime site…not far away, just hidden away. The residences feature two single level ranch floor plans: the Ashton, with 2,000 square feet of living space; and the Berkshire with 2,200 square feet. The Carlyle, a two-story home with a first floor master bedroom suite and 2,450 square feet of living space, is also being offered. All the homes feature two-car garages, two, three or four bedrooms, two-plus baths, dens, lofts and full basements. Over two-thirds of the homes will either have a walkout, or lookout, basement that was carefully planned to fit the rolling terrain at Woodglen. “Buyers still have the chance to make their home in the final phase of Ashbury Woods as well. We realize there is a demand for luxury townhomes in the great Village of Lemont and between these two convenient locations, there is something for everyone,” said Scott Stevens, vice president of Donven Homes. Ashbury Woods features five fully-decorated townhome models, both ranch and two-story designs, several with first floor master bedroom suites, ranging in size from 1,800 to 2,450 square feet. The townhomes feature two-car garages, two, three or four bedrooms, two-plus baths, dens, lofts, full basements and all the upscale amenities. In addition to the current preconstruction prices at Ashbury Woods’ final phase, special upgrade option incentives are also being given, allowing home buyers to further personalize their new townhome at a great savings. Both communities are in highly desirable locations and are close to shopping, dining, numerous golf courses, the I-55 and I-355 expressways, including the new interchange on 127th St., and the Metra train station in downtown Lemont. 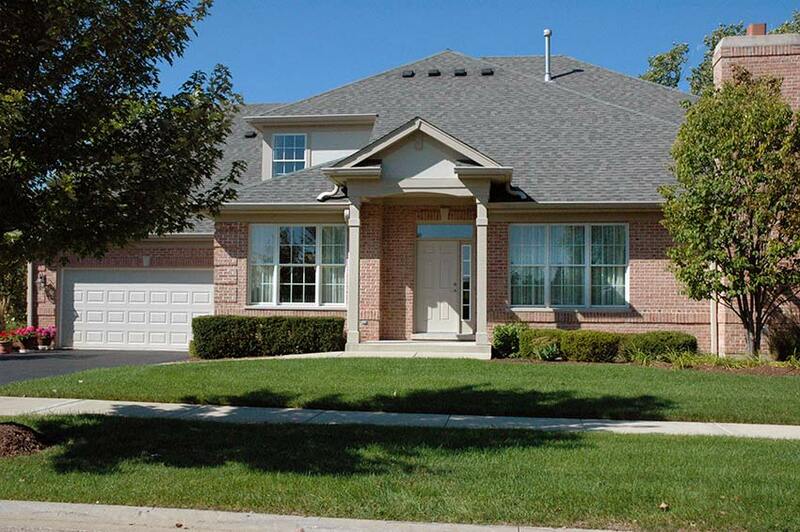 Homeowner’s will also have the benefit of Lemont’s excellent schools. “We encourage home buyers to come by our sales center located at Ashbury Woods and take advantage of this limited time, preconstruction pricing—from $389,900 at Ashbury Woods and $454,900 at Woodglen,” said Stevens. To learn more about the new Woodglen community and the final phase of Ashbury Woods, visit one of our two sales centers. Ashbury Woods Sales Center located on 127th Street, one-half mile east of Lemont Road (State Street) or one mile west of Archer Avenue (Route 171). Open from 10 a.m. to 5:30 p.m. (Tuesday by appointment, closed Wednesday). For more information, call (630) 243-1110.